Mixed African Beaded Salad Servers - stainless steal. Hand made by the rural Zulu ladies of South Africa. If you order this option you will receive a wide range of colors - Red / Blue / Yellow / Green / White / Black. Packaged in cellophane with header card. PRICE QUOTED FOR ONE UNIT ONLY. NB! 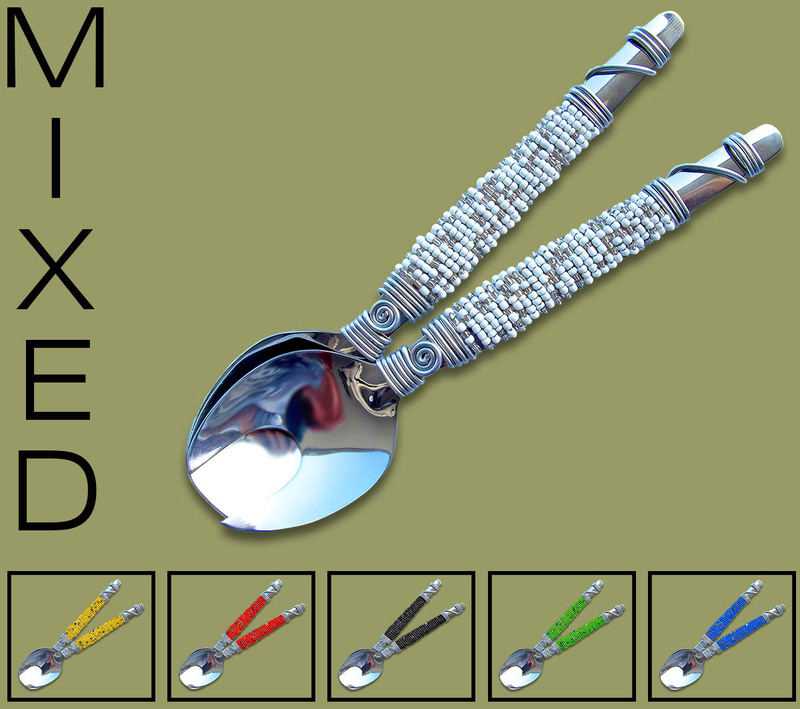 MIXED BEADED SALAD SERVERS ARE SOLD AT A LOWER PRICE.